The sad news comes of the death of the soprano Hildegard Behrens aged 72. She recorded Salome with Herbert von Karajan during my time with EMI, and I was fortunate to hear her sing the role with Karajan conducting the Vienna Philharmonic at the 1977 Salzburg Festival, which was where the header photo was taken. In January 2008 I described that performance as "one of my most memorable, and disturbing, evenings in the opera house". 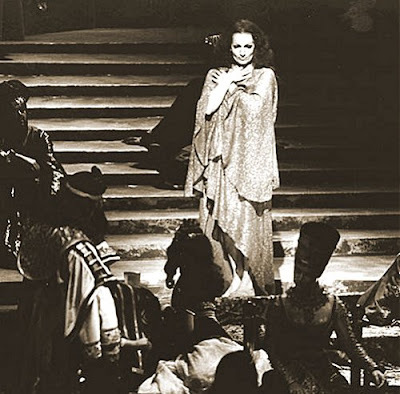 - That 1977 production was the first staging of Salome at the Salzburg Festival. - Hildegard Behrens had a law degree. Still for my money the greatest Salome ever. Her EMI recording with Karajan has no equal.